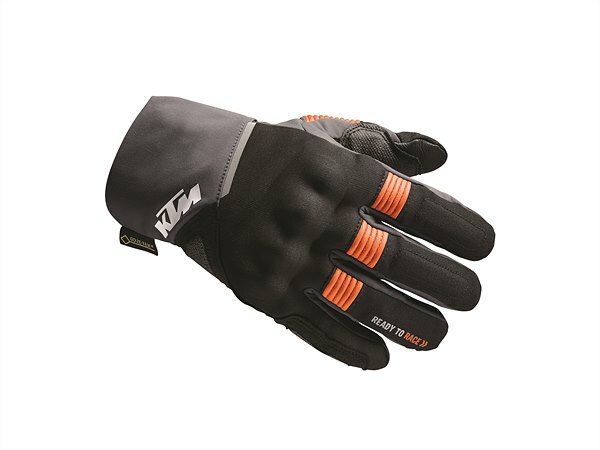 When it comes to active KTM PowerWear, the approach is unique: apparel designed with a central focus on functionality. 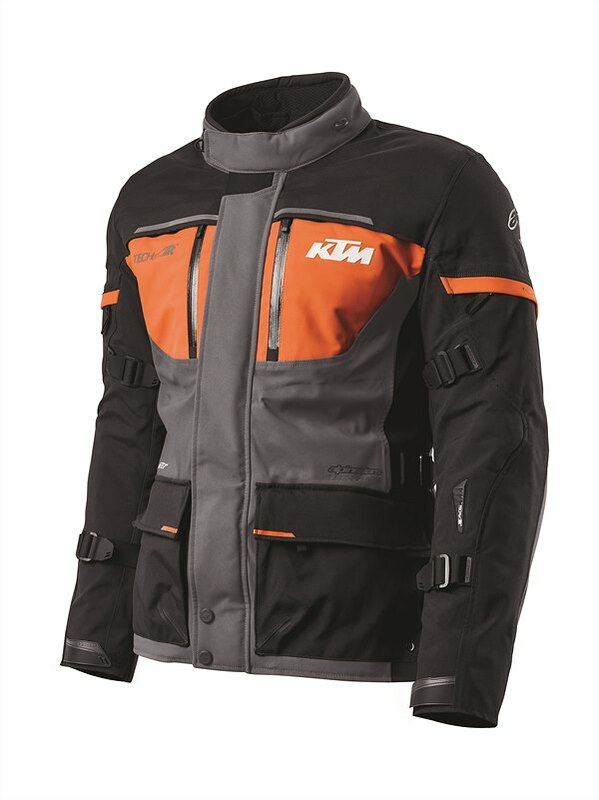 Every item created has a specific mission and the perfect execution thanks to the finest quality materials and excellent architecture in order to complement the intended KTM sportmotorcycle. 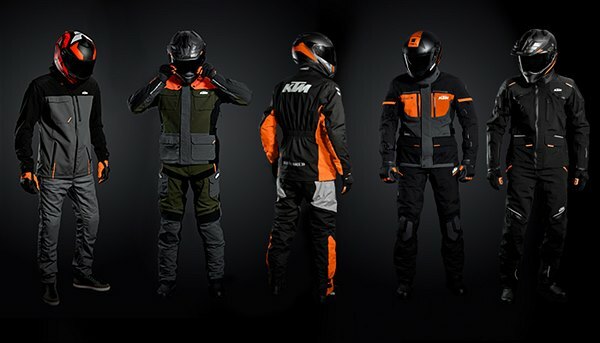 The KTM PowerWear Street Collection covers everything head-to-toe (and even underneath) for sports, track, supermoto, urban, adventure and travel riders. 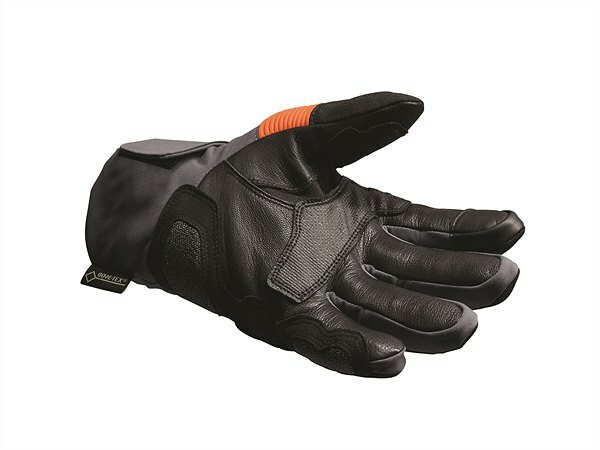 Created by KTM and further enhanced with exclusive pieces developed in cooperation with other leading riding gear brands – such as the Alpinestars ELEMENTAL GTX TECH-AIR® JACKET, Shoei X-SPIRIT III and Schuberth C4 PRO helmets – this official collection provides options for all two-wheeled situations, no matter how extreme the ride. 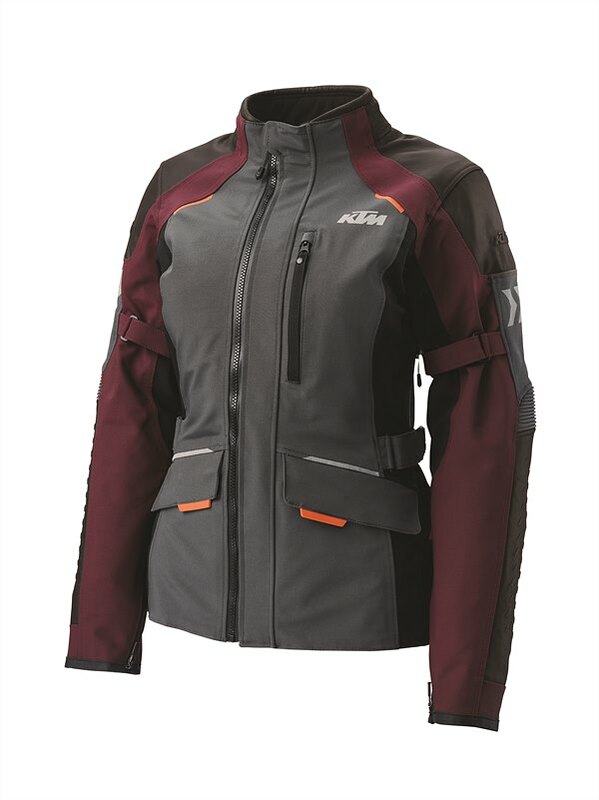 The ELEMENTAL GTX TECH-AIR® JACKET was designed for hitting the road – literally! 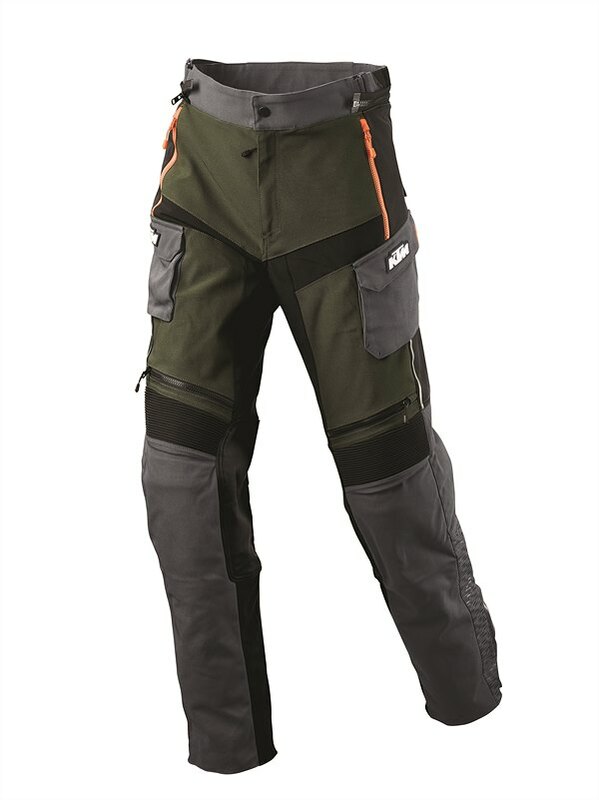 Exclusive by Alpinestars for KTM, it provides the rider with all the necessary comfort and safety features of the highest standard, it is compatible with ground-breaking TECH-AIR® airbag deployment technology (available separately), and offering superior body armor and abrasion resistance, it sets a new benchmark in rider protection and all-weather adaptability. 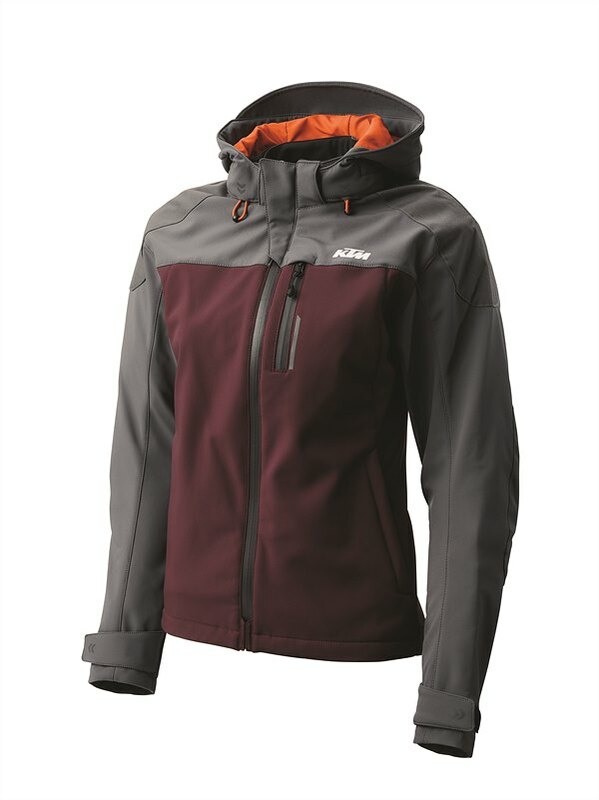 The premium, multi-panel adventure touring jacket (matching pants & gloves also available) is laminated with a 3-layer GORE-TEX® membrane and stands out by a multi-layer exterior material which represents an optimal combination of protection, durability and weight. This construction is breathable but at the same time wind- and waterproof. 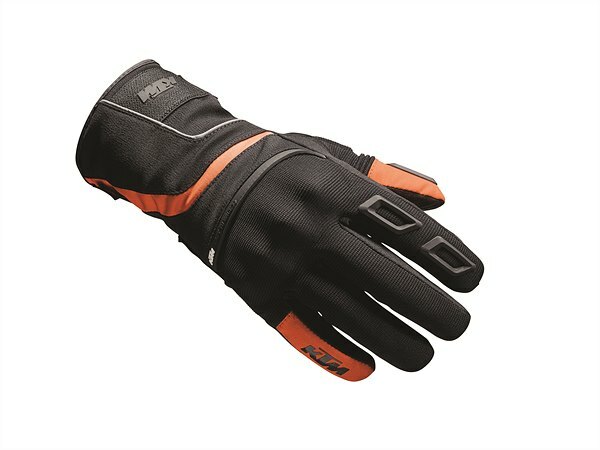 True performance offroad rally gloves, these provide perfect protection thanks to a double synthetic leather palm with thumb reinforcement, a protector on the heel of the hand and a breathable wind and waterproof OutDry performance membrane. 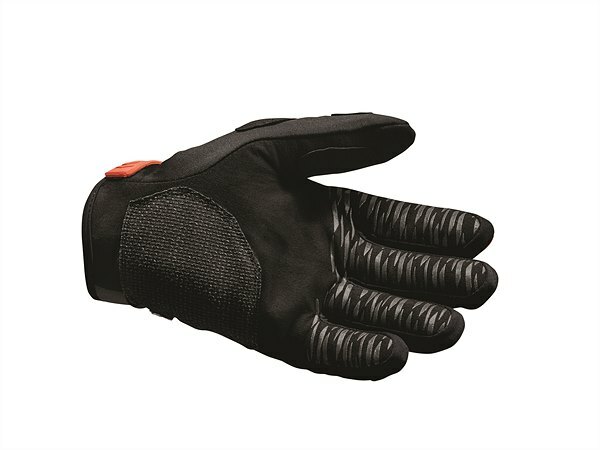 Helping to give optimum control at the bars are slightly pre-bent fingers and silicone finger tips for better grip which is all aligned to a perfect fit thanks to Lycra® cuffs and finger sidewalls finished with elasticated panels. 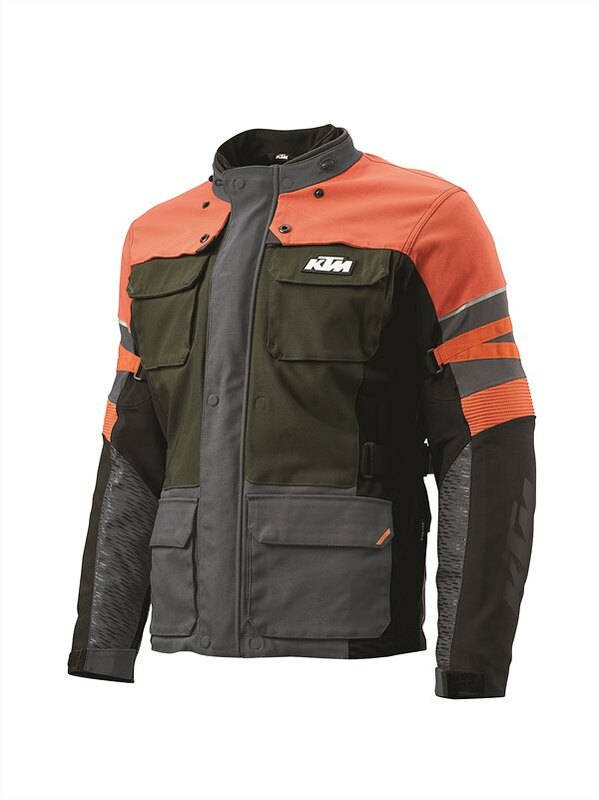 Casual in appearance but focused in its function, the TWO 4 RIDE JACKET with its cool, loose fit is especially light and rugged and comes in different cuts for men and women. An integral Z-liner membrane makes it breathable yet wind- and waterproof. 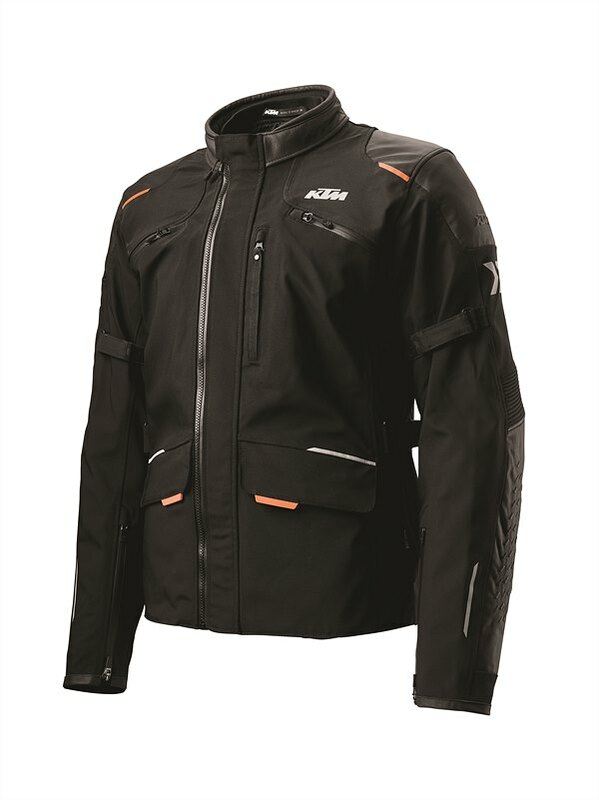 The full inner mesh lining ensures wearing comfort through optimum ventilation, while a reflective transfer print and removable shoulder and elbow protectors are essential safety features integrated into the jacket. 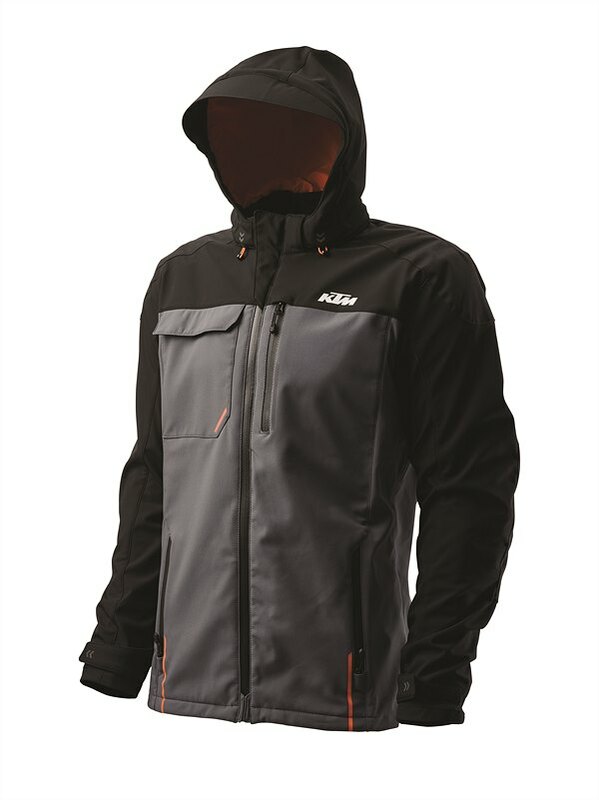 A high collar with integral hood offers weather protection even off the bike. Exclusive to KTM from Schuberth, the C4 PRO HELMET impresses both at high speeds and during long touring rides thanks to its modern, sleek design. Despite its compact shape, it provides the comfort and functionality of a flip-up helmet. A lightweight yet strong fiberglass shell is backed up by a multi-part EPS core while the ShinyTex® inner lining is designed to ensure a secure and snug fit, with the seamless head pad guaranteeing outstanding comfort. Multi-channel ventilation delivers additional cooling for the wearer, but for when things get really hot the fabrics are fast-drying, washable and antibacterial. For communication on the go, the C4 PRO is also SC-1 System-ready and equipped with an integrated antenna, loudspeaker and microphone. These touring boots always ensure the best foot is put forward on any adventure – even when piloting through the roughest storms. 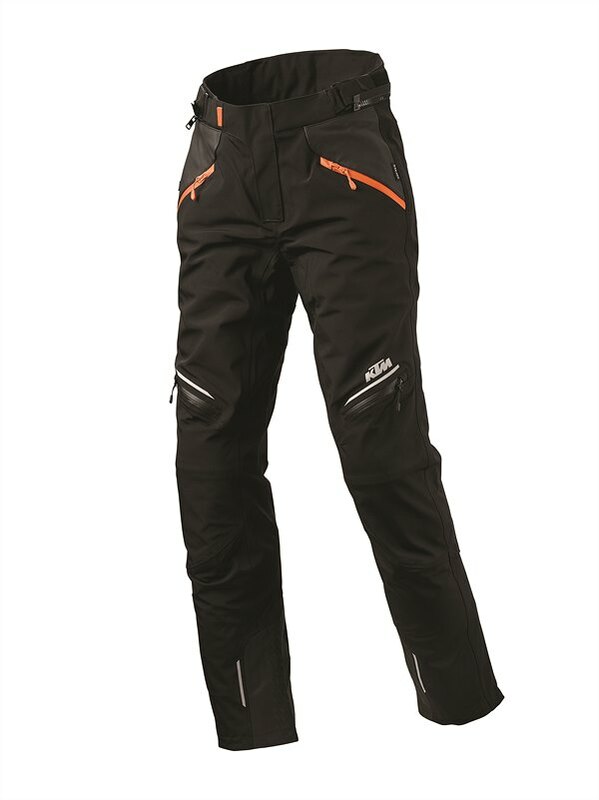 The 100% waterproof membrane delivers guaranteed weather protection and improved breathability, aided by a quick-drying polyamide lining for dealing with the aftermath of extreme conditions. 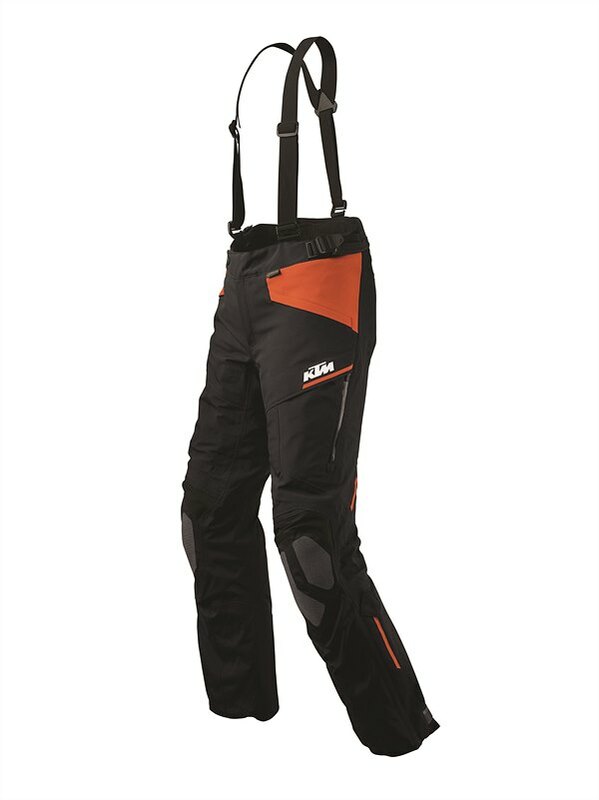 The boots are ergonomically shaped and with a textile lining on the shank for optimum comfort over longer distances and further boosted by accordion flex zones front and back to produce maximum freedom of movement. 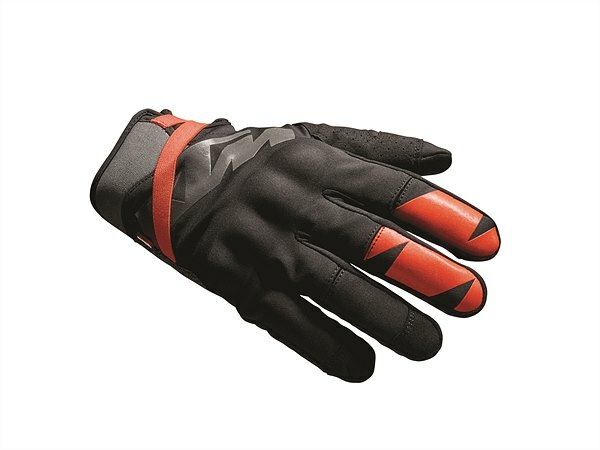 Exclusively for KTM by Alpinestars. 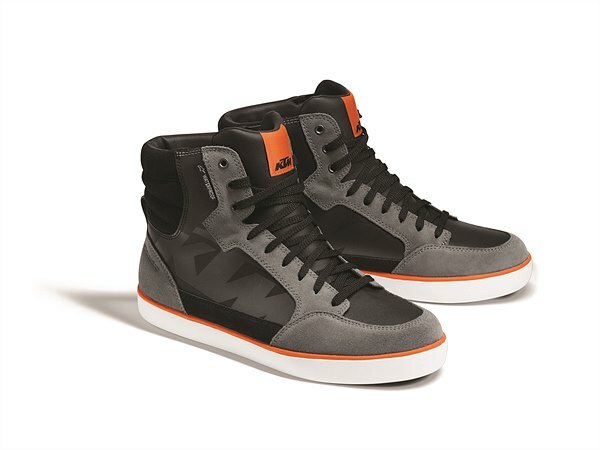 Form with incredible function, these sneaker-styled riding boots work as perfect off the bike as they do on it. 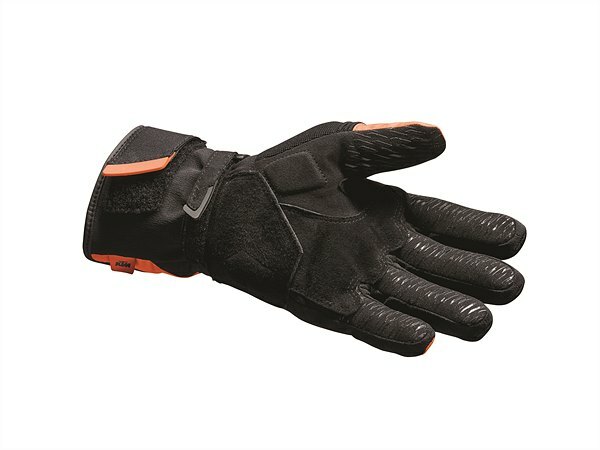 For the imperative task of protection, they are heavily armored at the ankle, heel and toe and fully waterproof. And for impressive, all-day comfort, the J-6 WP SHOES boast an anatomically shaped foam foot bed and reinforced, multi-layer foam padding on the tongue and ankles. 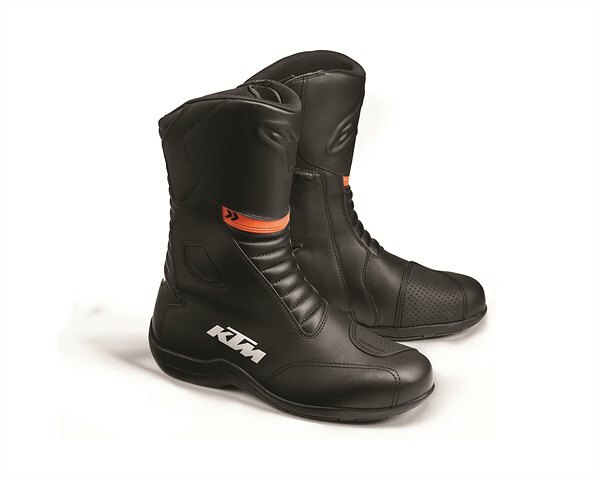 Exclusively for KTM by Alpinestars.